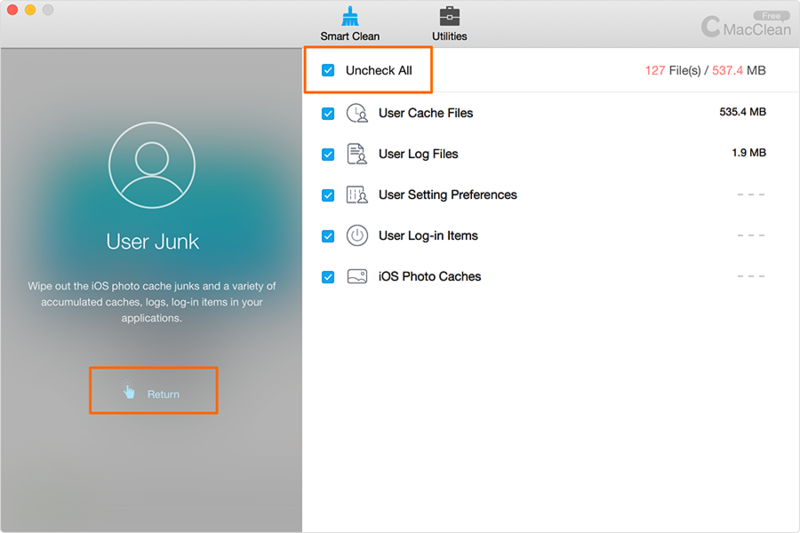 When you start using an application on your Mac, or just sync iPhone photos with iTunes, it will generate a portion of junk files simultaneously, like User Cache Files, User Log Files and iOS Photo Caches. These files take up a large amount of space on your Mac. To remove those files, you will reclaim much more free space for extra use. 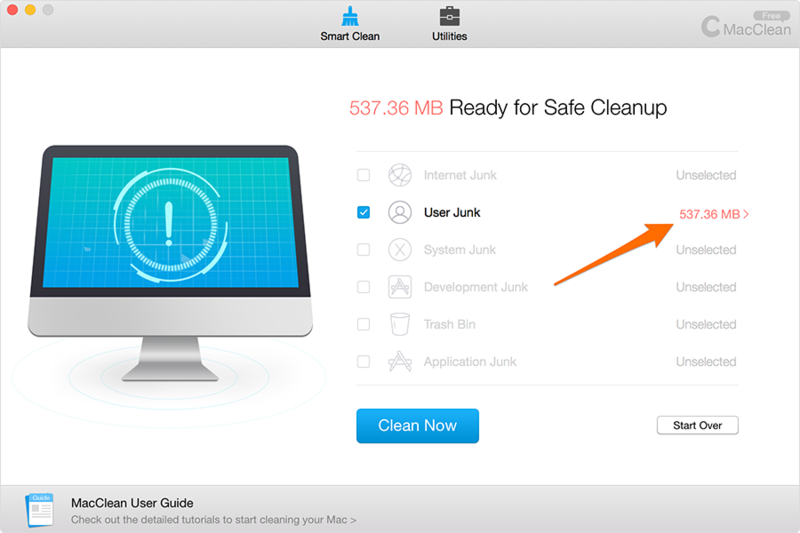 To get better known on how to remove those junk files quickly, please refer to the guide below. 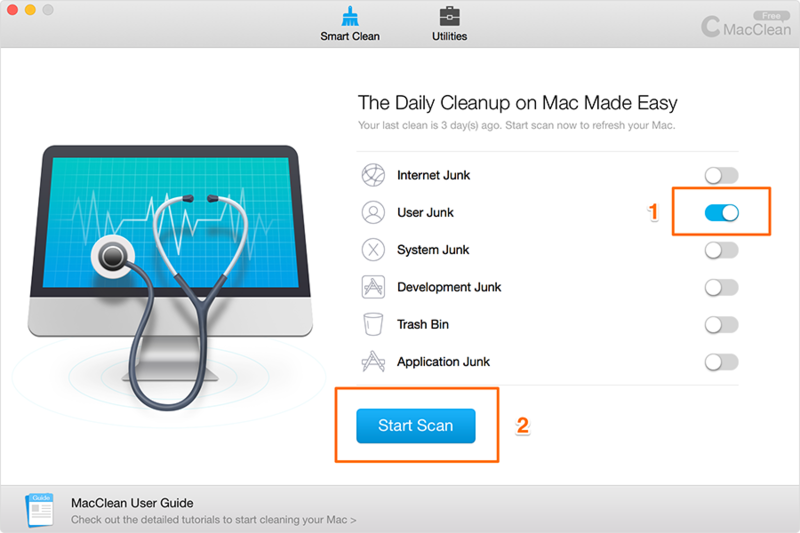 During this process, you can quit scanning the User Junk via clicking Stop Scan on the bottom of MacClean. 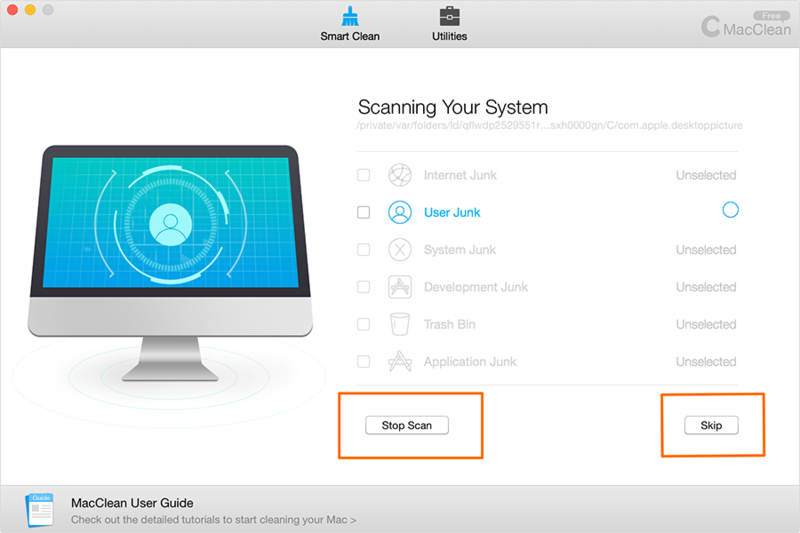 You can also skip scanning perticular junks by clicking Skip button. iOS photo caches is a local copy of cache files like photo thumbnails to make the sync process fast when you sync photos to/from your iOS device. But it may become outdated after the synchronous process is over. MacClean would keep your original photos but clean these useless copies.